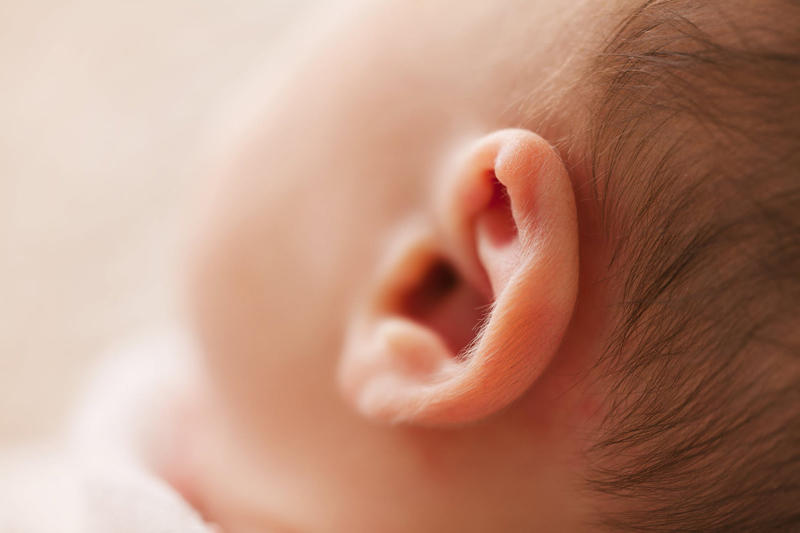 While there are individual differences between children knowing the hearing milestones will help you gauge whether perhaps your baby has a hearing problem. If your baby doesn’t appear to have reached some or all of these milestones what should you do? You know your child better than anyone and are far more likely to be right than even a specialist so if you don’t get results go somewhere until you do. Being deaf, I was very conscious of whether my children had a hearing problem and took all of them for early testing. My oldest son wasn’t speaking the way I expected and he was referred to an ENT specialist. It turned out he had ‘glue ears’ (a build up of fluid in the middle ear) and needed grommets to drain the fluid. As soon as that was fixed and he could hear properly, he reached all of the hearing milestones. When my youngest son showed the same symptoms my specialist told me I was over-reacting - that it was highly unlikely two children in the same family would have ‘glue ears’ - my child was just a slow developer. Nevertheless I pursued an appointment and had the tests (and boy! did that specialist roll his eyes when I turned up for testing!). It turned out mother knew best and my second son needed grommets as well. Once again, as soon as he was treated he reached the hearing milestones. First of all, get your baby’s health checked with your local doctor. Explain your concerns and rule any underlying medical problem. Ask for a referral to a specialist practising in children’s hearing health and take your child to an audiologist who specialises in testing children’s hearing. By contacting a support group you can cut to the chase… People in these groups have already asked and received answers to the questions you will have. They can point you in the direction of the best professionals, can allay your fears about what your child is going through and how best to understand and approach the situation. Ask your health professional for information about support groups in your area for parents with deaf children. If they don’t know ask your council, library or clinics. Contact adult support groups to see if they know of any. In addition, these days there a many support groups on the internet. Importantly, if your child has a hearing loss it is imperative to get early intervention. In the same way your baby is learning new skills such as eating, sitting up and walking, he is also learning to hear. Without hearing it will be very difficult for him to learn to speak and this will affect education, job prospects and be a disadvantage for life.